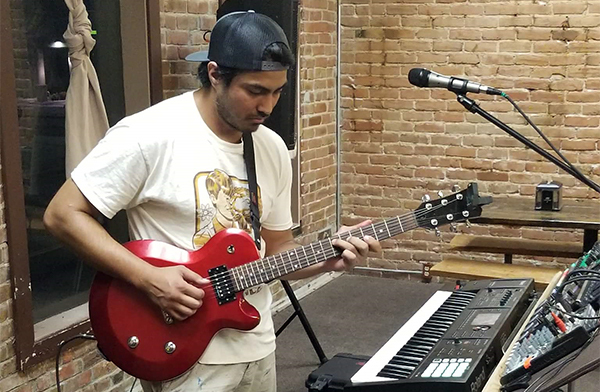 Cisco Bobadilla is a solo performer from Red Bluff. Francisco “Cisco” Bobadilla has a lot on his plate, and yet he still finds time to make music. Sometimes, Bobadilla is conflicted when he strums his guitar. He has an appointment, but he also has come up with a new song. 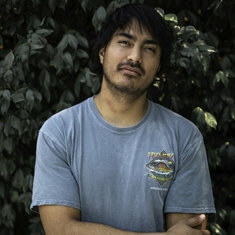 Work for Bobadilla might mean the Downtown Ale House, a restaurant/music venue in Red Bluff, California, that he and his brother own. He also teaches guitar at a juvenile hall, and he coaches high school wrestling and track and field. He also has a Police Athletic League community center music program and teaches music after school through the Safe Education & Recreation for Rural Families program. He speaks passionately about each of his endeavors. Passion can lead to conflicts, but it also can kindle creativity, and Bobadilla, 32, is on a seminal songwriting roll. He didn’t pick up guitar until he was 18, but since then he hasn’t put it down. Bobadilla has coached sports for five years and has volunteered at juvenile hall for two. “Growing up, I always wanted to play music and I wished I could meet somebody cool and they could teach me all this kind of stuff,” he said. “As years passed on, I just had that thought that I could be that person. Bobadilla has a penchant for writing love songs with pop and folk melodies. Although he might play an occasional Beatles cover, he performs originals during his solo shows. He and his brother Thomas have a helped build the music scene in Red Bluff through the Downtown Ale House. The Reno band Failure Machine performs at “The House” when it tours Northern California. 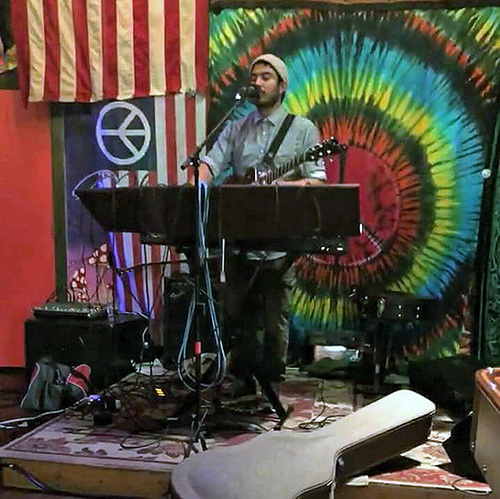 Operating the Ale House also provides Bobadilla the opportunity to regularly perform, although he ventured out of town recently on his “Simple Dream” tour, sharing new songs to new audiences. In October, he will play shows in Texas for the first time. “Wake Me Up” is a song Bobadilla recorded both acoustically and electronically, and each create a captivating mood but with very different presentations. Even after the last plate is washed each night at the Downtown Ale House, Cisco Bobadilla still has music on his mind. Related story: On the road with Failure Machine, Van Goat. Hi Cisco, Nice article on you. quite a creative guy, keep me posted on the Downtown Ale House events.